The end of February has arrived. How did the second month of the year go for you? It was a busy one for me as I did bit speaking at conferences, hosted a few webinars, did some writing that will eventually appear in a book, and planned the Practical Ed Tech Summer Camp. In there I still managed to get in a good, solid workout on 25 of 28 days. Speaking of working out, have you visited Ed Tech Fitness, yet? Summer might feel a long way away right now, but I'm already booking my summer workshop calendar. If you'd like to have me come to your school this spring (I have two May openings) or summer, please take a look at my speaking page and fill out the short form at the bottom of it. There are lots of excellent tools for creating your first classroom website. I'm often asked which one is the best one to use. My usual advice is to try Google Sites if your school uses G Suite for Education. I make that recommendation because when you sign into Google Sites with your G Suite account you'll be able to add items from any part of your Google account to your Google Site. That means with just one click you can add documents, slides, pictures, calendars, and more to your Google Sites website. 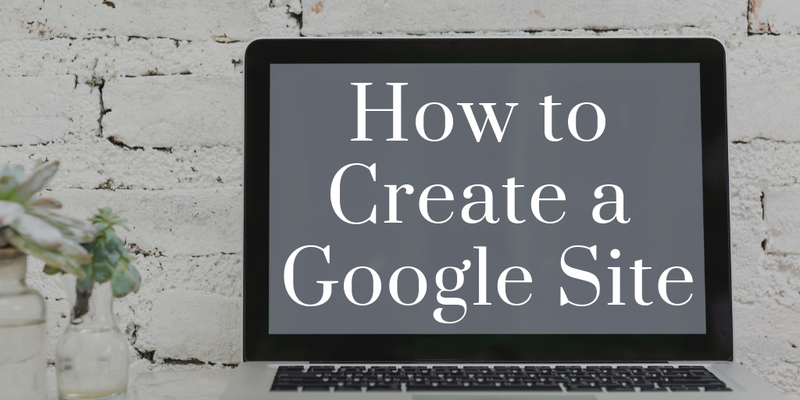 In the following video I demonstrate how to create the first pages of your first Google Sites website. You can find more Google Sites tutorials right here on my YouTube channel. 1. Create a wiki. Invite students to collaborate on a Google Site. Put each student in charge of one page that he/she is responsible for updating. I used to do this with my U.S. History students when we studied the Roaring 20's. Each student had a page that he/she had to update with information about a cultural or political topic. 2. As a digital file cabinet: If you have documents like permission slips or lunch order forms that you want your students' parents to be able to easily download, consider adding a page to your site where those documents are displayed. 3. As a digital portfolio: Google Sites can be used by students to create digital portfolios featuring their best works and accomplishments. I would encourage high school students to develop a digital portfolio that they can share with university admissions officers. Teachers should also consider developing a digital portfolio of their best lesson plans, credentials, and references to include when they apply for teaching positions. 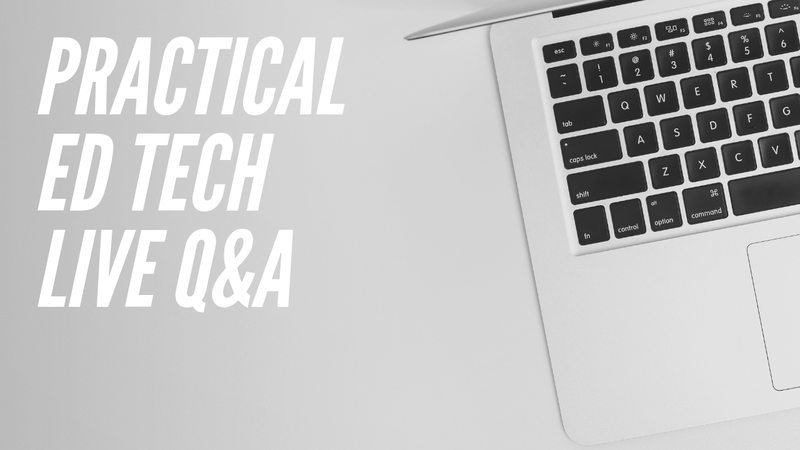 Yesterday afternoon I hosted the first Practical Ed Tech Live Q&A of 2019. I did about 25 of them in 2017 but didn't do any in 2018. So I figured it was time to bring it back. In the broadcast answered a handful of questions from readers. If you missed it, the recording is now available to view on my YouTube channel and on Facebook. The list of questions that I answered can be seen in this Google Doc. I'll host another live Q&A next Wednesday at 4pm ET. Subscribe to my YouTube channel or Facebook page to be notified when the broadcast begins. Metaverse Studio is a tool for creating your own augmented reality learning experiences. I have been using Metaverse since its launch almost two years ago. Over those two years it has evolved to make it easy for any teacher or student to create augmented reality learning experiences. With Metaverse you can create interactive, augmented reality games and challenges for students to complete on their phones or tablets. Programming your own AR experience is done through Metaverse Studio. Metaverse Studio is a block programming (sometimes called visual programming) interface. This means that you don't write code. Instead of writing code you create your augmented reality experience by selecting commands and selecting pieces of media from a menu. Put the commands together in the proper sequence and your augmented reality experience can be used on any iOS or Android device. At first glance the Metaverse Studio might look a little intimidating, but after a couple of tries it becomes rather intuitive. It also helps that Metaverse has recently launched a new set of clear video tutorials. The first of those can be seen here. Once you have created an AR experience in Metaverse Studio you will need to get it onto your students' phones or tablets. When you have finished creating your AR experience in Metaverse Studio hit the "publish" button in the upper, right corner of the editor. The publish button will provide you with a QR code that students can scan to open the experience. The publish button will also give you a link that you can have students open on their phones or tablets. When your students make augmented reality experience in Metaverse they can publish them in the same manner that you can. Metaverse has a brand new feature designed specifically for teachers and students. That feature is called "collections." The purpose of collections is to provide a place for you as a teacher to have all of your students submit their Metaverse projects. You could arrange your collections according assignment or by class. For example, if you gave your class the assignment to build an AR game about geometry, you would then create a collection called "geometry game" and all students would submit their games to that collection. Collections is a paid feature of Metaverse Studio, but you can try it for free by entering the code "ARforEDU" after clicking on "collections" in your Metaverse Studio account. What Can You and Your Students Do With Metaverse Studio? Metaverse Studio can be used to create augmented reality experiences that work as "breakout games," as digital scavenger hunts, and as guided tours. Here's an example of a guided tour made with Metaverse. 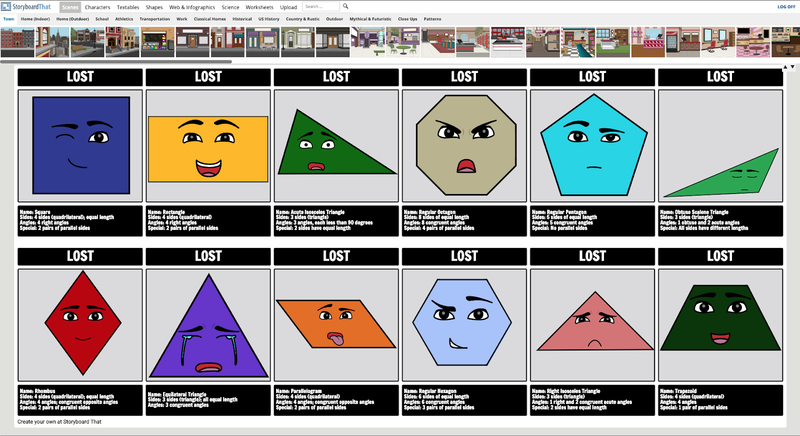 And check out this example of using Metaverse Studio to create a breakout game for an 8th grade ELA class. Disclosure: Metaverse is an advertiser on this blog. 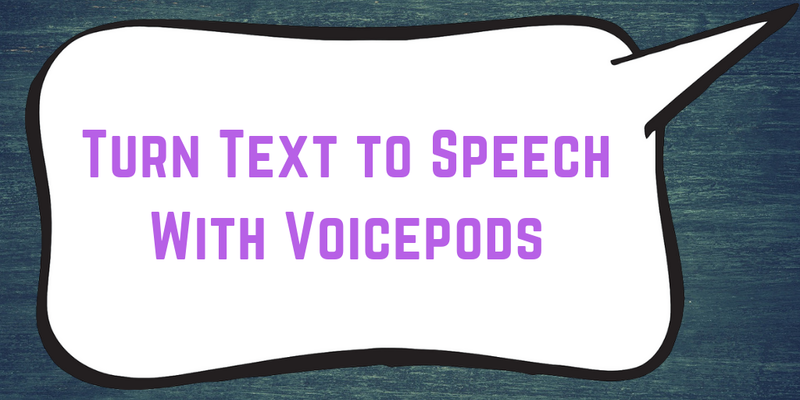 VoicePods is a text-to-speech service that I started using last fall. It's a service that will create an MP3 file from any text that you enter or from a web address that you enter. You can listen to your recordings online or download them for offline use. When you listen the recordings online you can also read along while each word is highlighted in sync with the recording. This week VoicePods added a new feature that could be great for listening to dialogues. VoicePods has a new multiple voice feature. This feature lets you select more than one voice to be used in the creation of a recording. For example, if you enter the transcript of a dialogue you can have a different voice for each character in the dialogue. Watch my tutorial to see how to use multiple voices in VoicePods. Common Craft has released a new explanatory video all about flowcharts. The new video explains what a flowchart is, why they are used, what they can be used for, and the structure of a basic flowchart. After your students learn what flowcharts are and what they are used for, have them try making their own flowcharts. They can make flowcharts on paper or use a digital tool. The benefit of using a digital tool to make a flowchart is that students can invite collaborators to work on make the flowchart as good and accurate as possible. Here's an overview of how to make a flowchart in Google Drawings. An overview of how to make a flowchart with Padlet can be watched here. Google's VR Tour Creator is probably my favorite new tool of the last year. I love being able to make my own virtual reality tours and share them with others. Recently, Google added support for VR Tour Creator tours to the Android version of Google Expeditions. This means that you can create your own VR tour then play it back and share it in Google Expeditions. You can even lead other people on your tour through Google Expeditions. In the following video I demonstrate how to use your VR Tour Creator tours in Google Expeditions. To learn how to use the VR Tour Creator, watch this video. Watch this video for an overview of how to lead students in Google Expeditions. The wind has been howling here in Maine for the last two days. As my daughter says, "it's soooo windy." She asked me this morning why it was so windy outside. That's a hard concept for a two year old to grasp, but I tried my best to explain it to her. If you have kids who are a little bit older than mine, the following videos do a good job of explaining what creates wind. Crash Course Kids covered the question "what makes the wind?" in a video released a few years ago. The video uses the backdrop of a beach to illustrate the roles of temperature and air pressure in creating windy conditions. Met Office is a YouTube channel that produces weekly videos about meteorology. They covered the question of "what causes wind to blow?" in the following short video. The video does not have any narration, just subtitles. I prefer the visuals in the Met Office video to the ones in the Crash Course Kids video. Both videos are suitable for elementary school or middle school science lessons. Try using a tool like ClassHook's Pause Prompts or EDpuzzle to build questions into the videos. 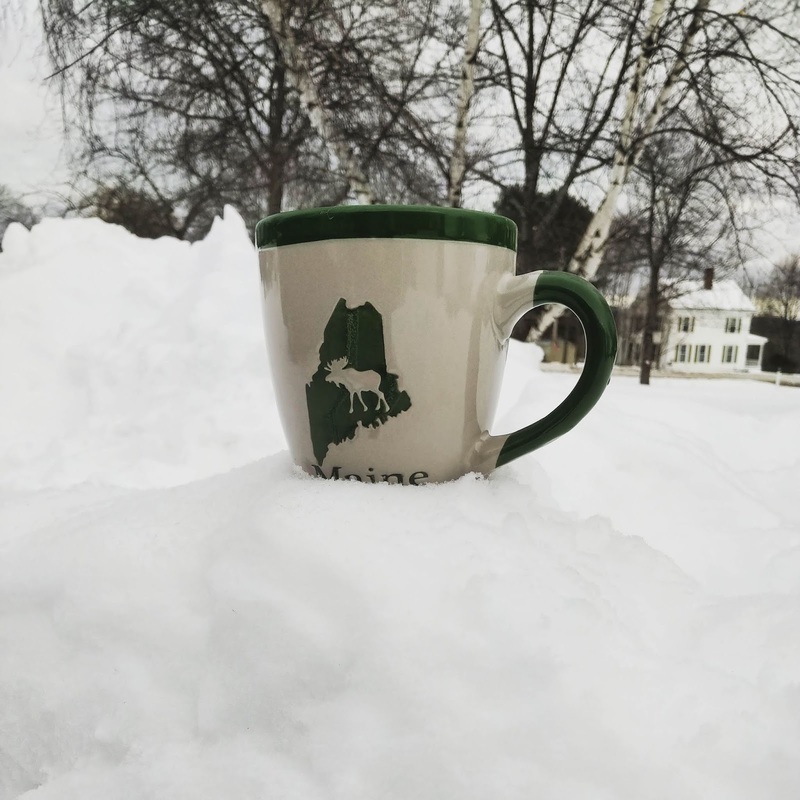 It is bitterly cold here in Maine today. But summer will be here eventually and it will be glorious! 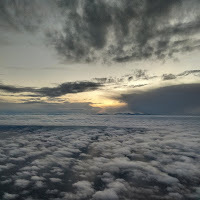 The sun will rise early and stay up late, the warm breeze will blow, and the Practical Ed Tech Summer Camp will happen. If you're interested in joining us for the Practical Ed Tech Summer Camp, register by the end of February for the lowest rate. Learn more about the Practical Ed Tech Summer Camp by watching the following video or reading the details here. I have a bunch of template documents that I keep in my Google Docs account. Whenever I have to use one I also use the find & replace function in Google Docs. Find and Replace is a simple and convenient Google Documents function that has a ton of utility when you're re-using a document and only need to make a few minor adjustments to it. In the following video I demonstrate how to find and how to use the find & replace function in Google Docs. Find & Replace can be helpful when you're re-using documents like field trip permission slips and similar forms from year to year. Rather than re-writing the whole thing, just change the few items that need to be updated. ClassHook recently added a great feature to their educational video service. That feature is called Pause Prompts. Pause Prompts are short questions or discussion prompts that you build into the video clips that you plan to display in your classroom. When you play a video in your classroom the video will automatically pause and display your discussion prompt or question to your students. Watch my short video to see ClassHook's Pause Prompts in action. Besides using Pause Prompts for displaying questions, you could use Pause Prompts to give students an opportunity to ask questions about what they have seen. Pause Prompts could simply be used to give students a moment to jot down a few notes about what they have seen in a video that you show to them in your classroom. Those of you who follow this in an RSS reader like Feedly or Flipboard may have recently noticed a change in the way that the articles are displayed. Likewise, those who subscribe to the daily emails may have noticed a change in the content display this morning. The change is that from beginning yesterday afternoon my RSS feed will only display the first 150 characters in an article before you will be directed to click a link to read the full article or watch the full video here on FreeTech4Teachers.com. The change is a direct result of rampant plagiarism! The plagiarism and unauthorized republication of my work has gotten out of hand in the last couple of months. 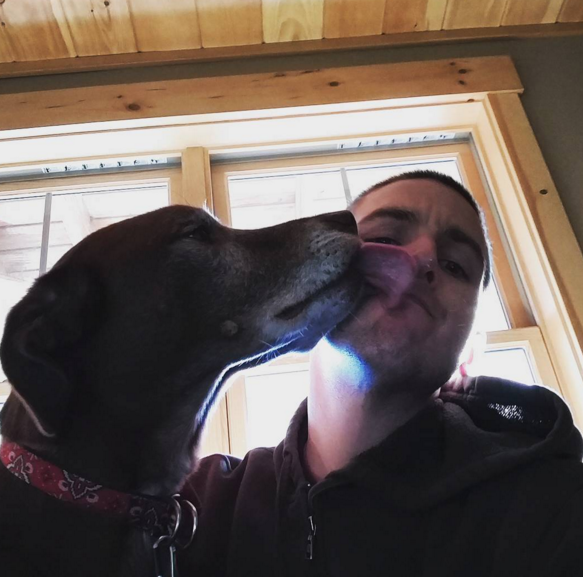 While I know how to DMCA notices it is a time-consuming process that takes away from writing new content on this blog and takes time away from helping my clients. When I was only dealing with one or two cases of plagiarism per month, I could handle it even though it was terribly annoying. In the last two months I've hand to file more than twenty DMCA takedown notices including twelve this weekend! Scraping or republishing full RSS feeds is the easiest way to load up a website with lots of content and very little work. Despite knowing that, I've always published my full RSS feed for readers to consume in their RSS readers of choice. Doing that makes it easier to read your favorite blog without having to open multiple tabs. Unfortunately, too many people have taken advantage of me publishing my full RSS feed. From here on, you will only be able to see 150 characters of an article in RSS or email before being directed to click through to FreeTech4Teachers.com. I didn't want to make this change, but it's the only choice I have left. I can't continue to spend the time and energy to fight all the copyright infringements. (BTW, I can't wait to see this blog post pop-up on some spammy blog). Five years ago I started the Practical Ed Tech Newsletter. More than 16,500 people now subscribe to it. It's an email that I send on Sunday evenings. The newsletter contains my tip of the week and a summary of the most popular posts of the week on Free Technology for Teachers. Subscribe here. 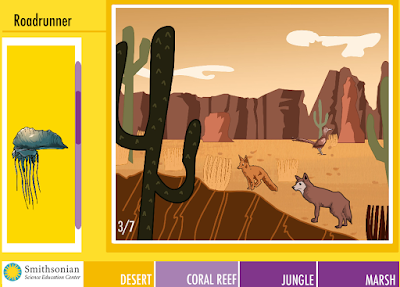 Habitats is an educational game from the Smithsonian Science Education Center. The online game challenges elementary school to match animals to their habitats. In the Habitats game students are shown images representative of four habitats; desert, coral reef, jungle, and marsh. To play the games students have to drag pictures of animals from a list to their corresponding habitats. Students receive instant feedback on each move they make in the game. Once an animal has been placed in the correct habitat students can click on it to learn more about it. The additional information is sourced from the Encyclopedia of Life. Habitats could be a fun game for elementary school students to play as a review activity after studying one or all four of the habitats featured in the game. 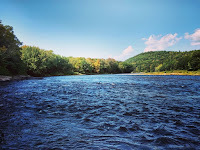 Good afternoon from Paris Hill, Maine where the sun is shining and my daughters are napping. Their naps should give me just enough time to write this week's week-in-review. This week I had the privilege to give the opening keynote at the SET-BC District Partners conference in Vancouver, British Columbia. The conference was excellent and totally worth the 14 hours I spent traveling to get there. The title of my keynote was Built to Last - What Works in Educational Technology. The slides I used are available here. I really enjoyed putting that presentation together. It was the first time that I gave that version of the presentation and I'm looking forward to editing it a bit more for my next conference keynote. 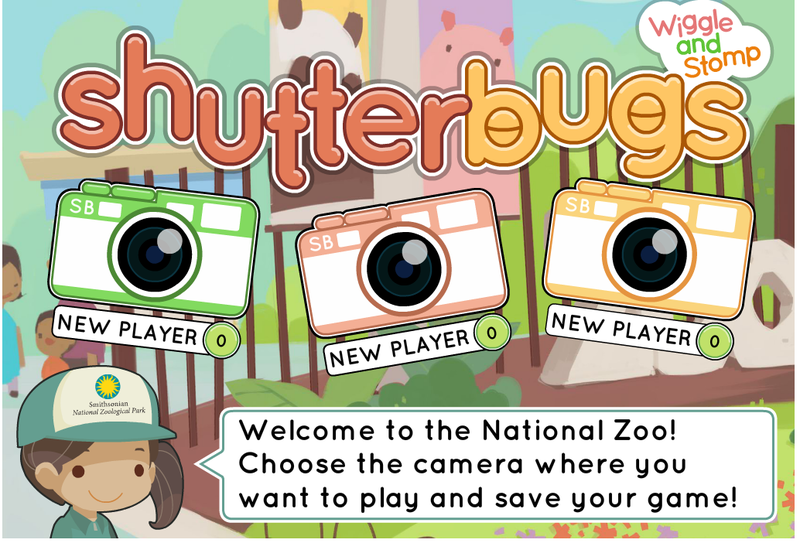 Shutterbugs Wiggle and Stomp is an educational game produced by the Smithsonian. The purpose of the game is to help children recognize the movements of animals. In the game children move through a virtual zoo with a zoo keeper. As they go through the virtual zoo the zoo keeper will ask students to take pictures of animals who are demonstrating running, jumping, stomping, and other movements. Shutterbugs Wiggle and Stomp can be played online, as a free iPad app, and as a free Android app. Shutterbugs Wiggle and Stomp can be a fun little game for pre-K and Kindergarten students. The game reads the commands displayed on the screen to help students learn to read the words they're seeing. At the conclusion of the game students can print out coloring pages of animals they took pictures of during the game. ClassHook is a great service for finding video clips to use in your classroom. ClassHook clips come from well-known movies and television shows. You can search for those clips according to subject area and topic. Earlier this month ClassHook introduced a new feature called Pause Prompts. Pause Prompts are questions that pop-up and pause a video in progress. The prompts are meant to be used for facilitating classroom conversations or to give students time to take notes at an important point in the video. What makes ClassHook's Pause Prompts different from services like EDpuzzle is that Pause Prompts aren't intended to be homework assignments or individual assignments. Pause Prompts could be useful for giving students time to jot down some notes from a video. You could also use Pause Prompts to give students time to answer or ask questions in small groups. ClassHook's search feature could save you time the next time that you're searching for a video clip to support a point in your lesson plan. It can also be helpful in finding a video to build a flipped lesson upon. Earlier this month I opened registration for the 2019 Practical Ed Tech Summer Camp. The super-early registration discount ends next week. If you've been wondering what it's all about and if it's for you, take a look at the following video in which I answered some of the FAQs about the Practical Ed Tech Summer Camp. 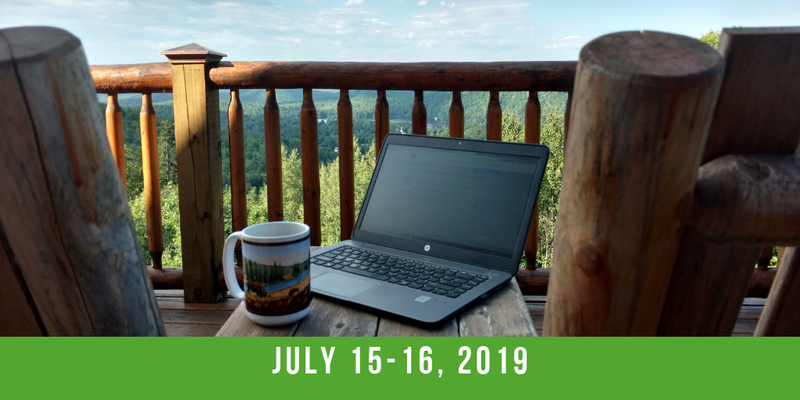 Here's an overview of things to learn and things to do at the 2019 Practical Ed Tech Summer Camp. Register here by February 28th to get the super-early discount. eMammal Lite is an online activity based on the wildlife photographs on the Smithsonian's eMammal site. eMammal was previously known as Smithsonian Wild. All of the pictures on both sites were captured by camera traps. Camera traps are wildlife cameras that are triggered by motion when an animal walks in front of a sensor. On eMammal Lite you scroll through pictures of animals that were photographed at camera traps. You then have to use some context clues to identify the animal in the picture. You identify the animal by making a selection of one of three choices displayed next to the picture. Once you've made your selection you will be told if you're wrong or right. If you're right, you'll see a map that shows where the photograph was taken. If you're wrong, the photograph will go back into the rotation of pictures that you have to identify. eMammal Lite could be a good activity for elementary school and middle school students to do to practice using their knowledge of animals and their ability to use context clues. eMammal Lite does offer the option to register for an account. Registering for an account will let you keep track of your progress. You can also use eMammal Lite as an unregistered guest. This year’s Practical Ed Tech Summer Camp is designed for two purposes. First and foremost, it is intended to give K-12 teachers, tech coaches, and administrators two days of hands-on learning about educational technology. The second purpose is to provide a professional development experience in a setting that isn’t a generic conference center or uncomfortable classroom in midst of a summer maintenance project. Check-out this post to learn more about the setting. Review the following list to learn more about the content of the Practical Ed Tech Summer Camp. This is a preliminary list it may be modified based on the interest and expertise of those who register. Speaking of registering, the super-early discount is available for one more week. Register in the next seven days to get in at the lowest rate. This morning I had the honor of giving the opening keynote at the SET-BC District Partner Conference in Vancouver. The title of my talk was Built to Last - What Works in Educational Technology. The purpose of the talk is to provide an overview of what makes some ed tech tools last for many years while others are just a flash in the pan. I was asked to give a ninety minute talk so there were a handful of "turn and talk" breaks during my presentation. The slides from my talk are included below and can be accessed here. The slides alone don't give the full context of the talk, but you can get a broad outline from it. Later this week or early next week I'll publish a longer post about some of the details of the presentation. Adobe Spark is one of my favorite free tools for creating videos. It works well on Chromebooks and any other laptop that is using a modern web browser. One the excellent features of Adobe Spark Video is the integrated image search tool. When students use images found through the integrated search, the image is automatically added to a credits screen at the end of the video. While the default image library in Adobe Spark is good, it is possible to expand the size of the library in your Adobe Spark account settings. Watch my video to learn how to find more free images to use in your Adobe Spark video projects. Earlier this month I published Ten Search Strategies Students Should Try. An eleventh strategy that students can try when they are researching current events, trending topics, or any rapidly changing topic is to refine results according to publication date. 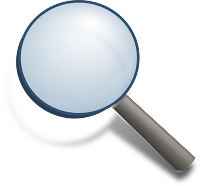 In the following video I demonstrate how students can refine search results according to publication date. The Edublogs Student Blogging Challenge kicks-off two weeks from now. You don't need to be an Edublogs user in order for your students to participate in the challenge. If you're new to blogging or new to having students blog, Edublogs is a solid choice for a blogging platform. 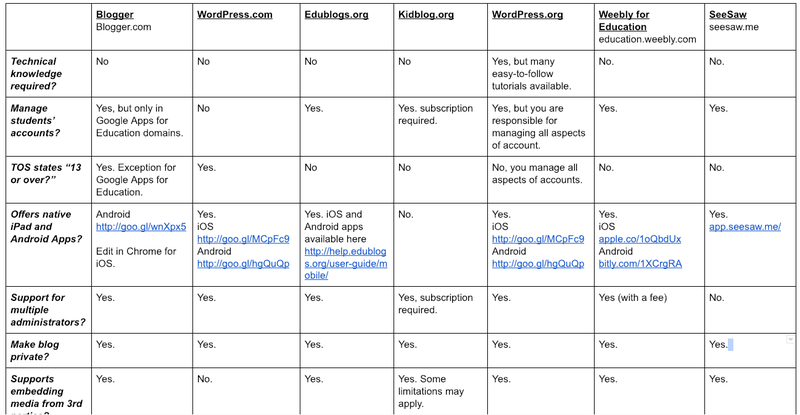 Edublogs isn't the only option for student bloggers. 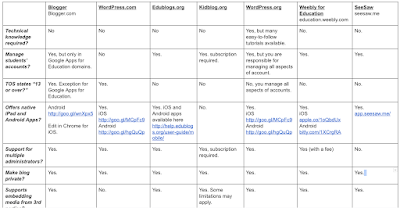 In this updated chart I compare seven options for creating student blogs. At the bottom of my blogging platforms comparison chart you will see my final ranking of the seven services. Spoiler Alert! I rank Edublogs and Blogger as 1a and 1b. But take a look at the chart and see which services have the features that you want and need. My YouTube channel contains many short tutorials on the features of both of these blogging services. The Smithsonian Science Education Center's Weather Lab is one of many online learning activities produced and hosted by the Smithsonian. The Weather Lab is designed to help elementary and middle school students learn about weather patterns. In the Weather Lab students select an ocean current and an air mass then try to predict the weather pattern that will result from their choices. The Weather Lab provides an overview of the characteristics of each air mass and ocean current. Students should use that information in making their weather predictions. After making their predictions the Weather Lab will tell students if they were correct or not. In the feedback given to students they will find links to videos for further learning about each weather pattern featured in the Weather Lab. The Smithsonian Science Center's Weather Lab isn't the most robust online activity that you'll find online. That said, it is a good starting place for lessons about weather. I would have students use the Weather Lab to learn a bit about weather patterns then transition them to using real-time meteorological data to make weather forecasts for where they live. 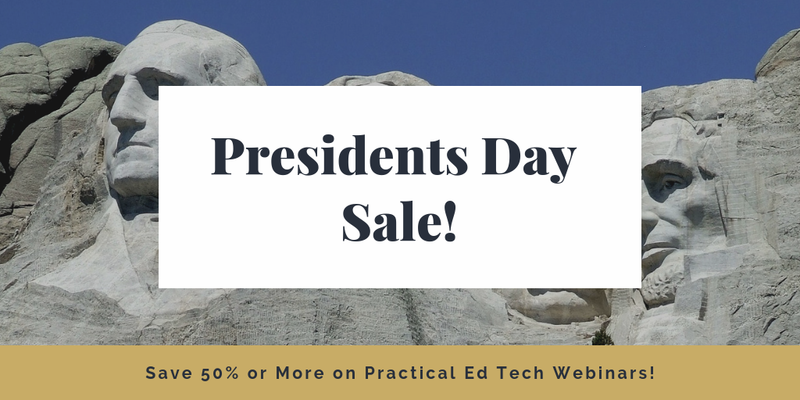 One of the ways that I keep the lights on at Free Technology for Teachers is through the sale of online training webinars on my other site, Practical Ed Tech. This weekend all of the on-demand webinars are on sale at 50% off. Click here to take advantage of the offer. Click here to get one, two, or all six of these webinars at 50% off! 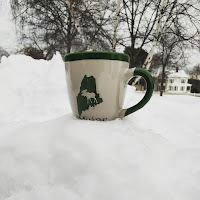 Good morning from Paris Hill, Maine where the snow has stopped and the sun is shining. 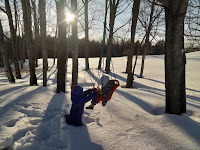 It's a perfect day to go snowshoe festival. That's exactly what one of my daughters and I are going to do as soon as I finish writing this post. This week I had the pleasure of leading an all-day workshop for a fun group of teachers in Pekin, Illinois. The title of the workshop was using Technology to Engage All Learners. It was a condensed version of what we do at the Practical Ed Tech Summer Camp. Speaking of which, a couple more people took advantage of the February discount for the Practical Ed Tech Summer Camp. The BBC's Skillswise website offers many good activities for learning and practicing skills in language arts and mathematics. A section of the site that could be useful in a lot of classrooms is the speaking and listening section. The speaking and listening section contains subsections offering lessons and activities to develop a specific skill. Those skills are listening for specifics, communication skills, formal and informal speaking, and giving presentations. Each section has a short introductory video followed by a set of quizzes and interactive games in which students test their skills. While all of the activities are good, the speaking and listening activities on Skillswise that I would be most inclined to use with students are the types of listening and listening for specifics games. The games in both sections require students to listen and follow a set of detailed instructions to complete tasks like delivering products to addresses, recording details of story, and responding to emergency situations. Random Name Picker is a free tool from Russel Tarr at Classtools.net. Random Name Picker lets you input names and spin a virtual wheel to have a name randomly selected from the list. After a name is selected you can remove it from the wheel so that it is not selected again. In my previous post I shared some information about the upcoming Edublogs Student Blogging Challenge. If you're new to blogging or it has been a long time since you did any blogging, it can be helpful to have a glossary of terms that are frequently used when writing and talking about blogging. That's why I put together the following glossary of terms. (Access the glossary as a Google Doc here). Before you jump into the glossary, watch Common Craft's explanation of what blogs are and how they work. Theme: WordPress and many other blogging platforms use “themes” to describe the look of a blog. The theme can include the color scheme and the layout of elements on the blog. 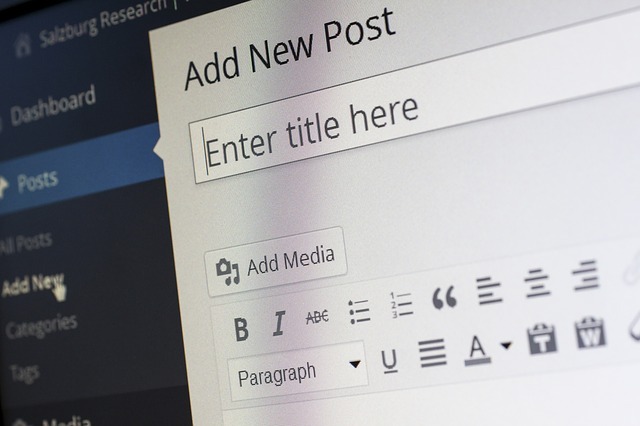 Changing the theme does not change the content of your blog posts. Template: Blogger and some other blogging platforms use the term “template” to describe the look of a blog. The template can include the color scheme and the layout of elements on the blog. Changing your template does not change the content of your blog posts. Tag: Tags are applied to WordPress (Wordpress.com, Kidblog, Edublogs) blog posts to identify the key ideas or purpose of a post. 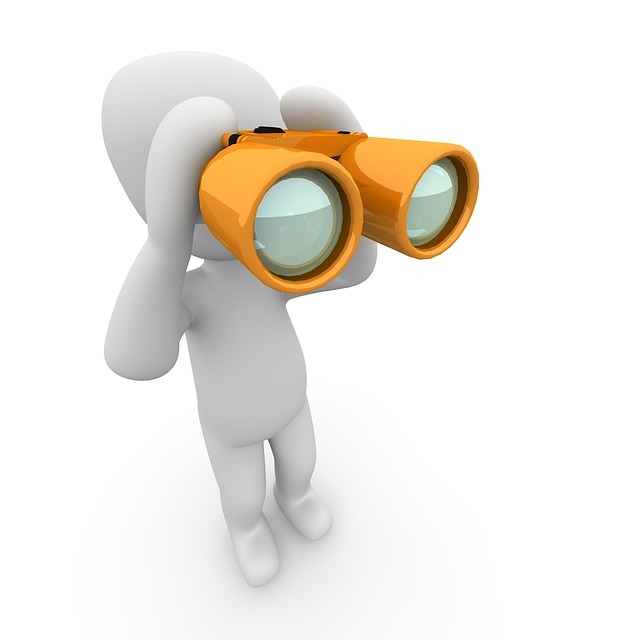 Tags make it easier for people to search and find older posts on your blog. For example, if you write a post about your Revolutionary War lesson, tag it with “revolution” or “revolutionary war” so that at the end of the school year when you have 150 posts on your blog your students can quickly click on the “revolution” tag and jump to the post that have that label. It’s a lot easier to locate older posts by tag than it is to click through archives by date. Label: Labels are applied to Blogger blog posts to identify the key ideas or purpose of a post. For example, if you write a blog post about your Revolutionary War lesson plan, label it with “revolution” or “revolutionary war” so that at the end of the school year when you have 150 posts on your blog your students can quickly click on the “revolution” label and jump to the posts that have that label. It’s a lot easier to locate older posts by label than it is to click through archives by date. Tag Cloud and Label Cloud: Tag and Label clouds can be added to your blog’s homepage to make it easy for visitors to see the tags or labels that you use, click on one of them, and jump to a list of all of the posts that have that particular label. Categories: In WordPress-powered blogs you can use categories for broad descriptions of posts in addition to using tags. For example, on iPadApps4School.com I use the categories “pre-K,” “elementary school,” “middle school,” and “high school.” I assign each post to a category and use tags for describing the academic topic of the post. This way if someone visits my blog looking for math apps appropriate for elementary school he or she can click on the “math” tag then click on the “elementary school” category to find all of my posts meeting that search criteria. Embed: To display a video, slideshow, audio recording, Google Calendar, Google Map, game, and many other multimedia elements in a blog post you will use an embed code provided by service hosting that media. Embedding media into a blog post does not make you the owner of it and as long as you follow the guidelines set forth by the hosting service you are not violating copyright by embedding something you didn’t create. For example, when you find a video on YouTube that you want your students to watch you can embed it into a blog post and ask students to comment on the blog post. If the owner of that video decides to take it offline the video will no longer play through your blog post. Embed Codes: An embed code is a piece of code, often HTML, that media hosting services like YouTube provide so that you can easily display the media that they host in your own blog posts. On some services an embed code will be clearly labeled as such next to the media you’re viewing. On other services the embed code will be one of the options that appears when you click on the “share” option. YouTube, for example, currently requires you to open the “share” menu before you see the embed code option. Widget: A widget is a small application that you can include in the posts and or pages of your blog. A widget could be a game, a display of Tweets, a display of RSS feeds, a tag cloud, a calendar, or any other application that offers an embed code. Gadget: Gadget is the term that Blogger uses for a widget. A gadget and a widget do the same things. Plug-in: A plug-in (sometimes plugin) is a small application that you can add to the software that powers your blog. Unlike widgets and gadgets plug-ins operate in the background and visitors to your blog will not see them working. 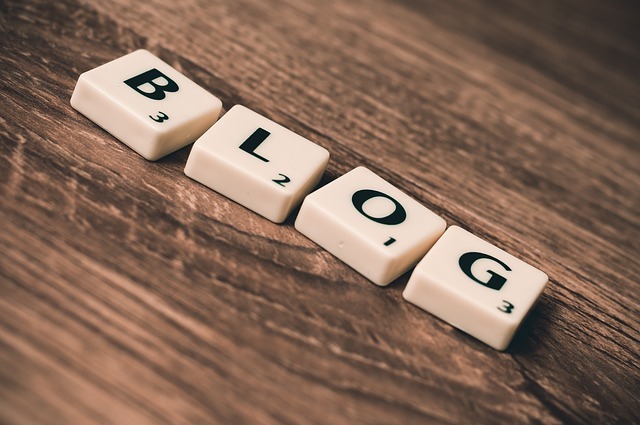 A plug-in can add functions to your blog such as suggesting related posts to your visitors or detecting the type of device a visitor is using to view your blog then automatically displaying the mobile or desktop version of your blog’s layout. Page: A page on a blog is different than a post because a page is designed for static content. Pages are good for posting information that you want visitors to your blog to be able to quickly access. For example, my classroom blog had pages for curriculum outlines and review guides. Permalink: Each blog post is assigned its own separate URL this is known as a permalink (permanent link). This URL is the one that you would share if you wanted someone to directly access a post rather than going to your blog’s homepage then searching for the post. Hosted Blog: A hosted blog is one whose software is maintained by a company for its users. Services like Blogger and WordPress.com are examples of services on which you can create hosted blogs. The advantage of using a hosted service is that you don’t have to worry about installing software, software updates, server maintenance, or bandwidth capacity. The disadvantage of using a hosted service is that you don’t have access to the servers hosting your blog, the service may limit some customization options (WordPress.com in particular does this), and if the service closes you will be looking for a new place to blog. Self-hosted Blog: A self-hosted blog is one for which you own the blogging software, you install it on a server or shared server, and you are responsible for all technical maintenance and updates. The advantage of having a self-hosted blog is that you can customize it to your heart’s content, you have access to the server(s) hosting your blog, and you can move your content from one hosting service to another if you choose. The disadvantage of a self-hosted blog is that you do have to feel somewhat comfortable installing the software on a server. Fortunately, most hosting companies have good tutorials on installing popular blogging software. Another disadvantage of self-hosting is that you are responsible for performing all updates and other maintenance tasks. This can be time consuming for new bloggers. Finally, to have a self-hosted blog you will have to buy a domain and pay a monthly or annual hosting fee for your blog. I pay roughly $200 annually to MediaTemple.com for hosting and I have eight domains on my plan. 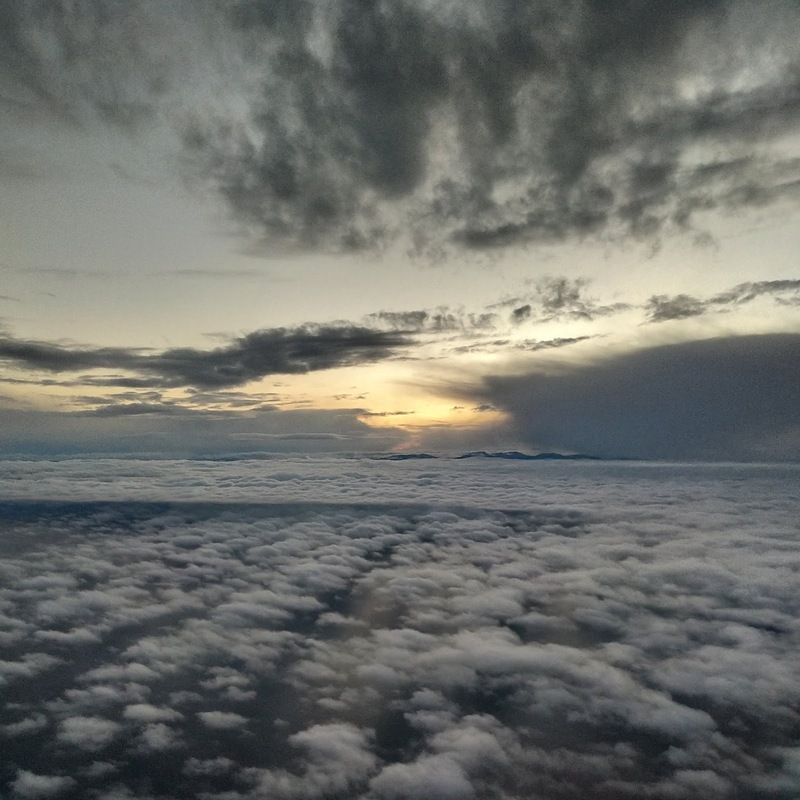 If you decided to go the self-hosted route, Media Temple is my recommendation for a hosting service. They offer excellent 24/7 customer service and I’ve never experienced any downtime since I started using them in April of 2012. Blogging can be a great way to get students interested in writing and publishing their work for an audience. The challenges of classroom blogging have always been coming up with things for kids to write about and building an audience for your students' work. The Edublogs Student Blogging Challenge addresses both of those challenges. The next Edublogs Student Blogging Challenge begins on March 3rd. The Edublogs Student Blogging Challenge provides weekly blogging suggestions suitable for K-12 students. Every week students complete the challenge then you can submit the URL of your students' posts to be included in a larger Student Blogging Challenge form that other participating classes can see. By submitting the URLs of your students' work, you're providing them with an opportunity to get feedback from other students and teachers who are participating the challenge. The Edublogs Student Blogging Challenge is open to all K-12 classrooms. You do not have to use Edublogs in order to participate in the challenge. Click here to read the complete details of the challenge including how to register. How Do Ocean Currents Work? 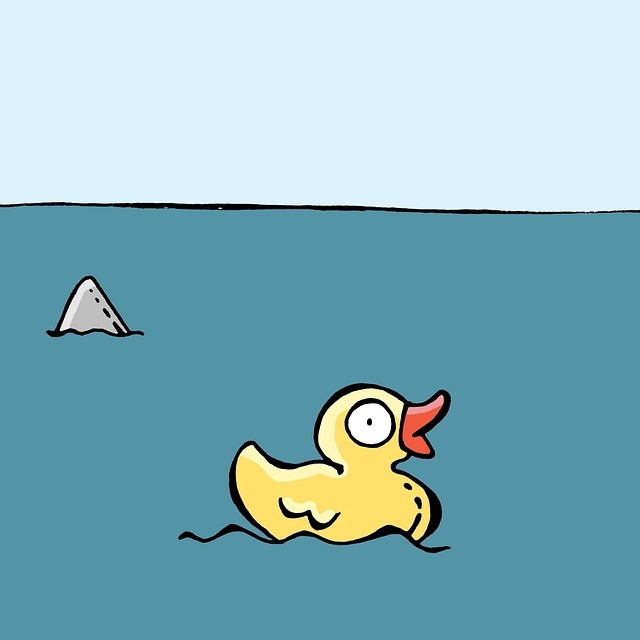 is a TED-Ed lesson that makes a fantastic addition to TED-Ed's list of lessons about oceans. The list now has 25 lessons covering a range of ocean-related topics including how waves are formed, the depths of oceans, and lessons about marine life. In How Do Ocean Currents Work? viewers learn about the forces influencing surface and deep ocean currents. 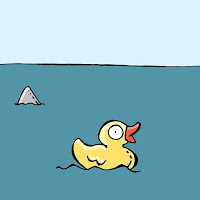 The lesson is told through the story of 28,000 rubber ducks drifting around the world. I've watched this lesson a few times. The last time that I watched it I realized that the clay model featured in the video could be replicated in a fish tank or large dish pan. Having students make and modify models like the one in the video could be a good way for them to see and experiment with forces that influence the flow of water. Earlier this week I sent out an email about super-early registration for the Practical Ed Tech Summer Camp. 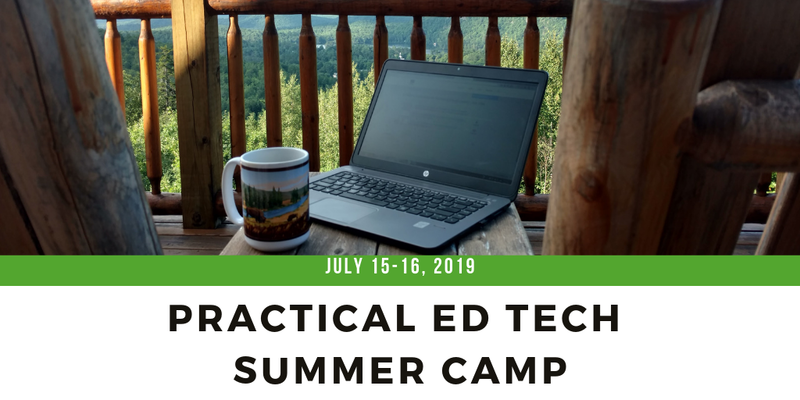 Some people have already jumped on that offer and others have emailed me with questions about the Practical Ed Tech Summer Camp. Here's a short list of the some of the frequently asked questions and their answers. 1. What topics will be covered in the workshop? 2. Do I have to be a G Suite for Education user? No, you do not. This is not a G Suite for Education training session. 3. I teach elementary school, will this be too advanced for my students? No. This is designed to be inclusive of all K-12 educators. 3. Do I need to bring my laptop/ iPad/ Chromebook? Yes, you must bring your own laptop, Chromebook, iPad, or Android tablet. Better yet, bring them all. 4. 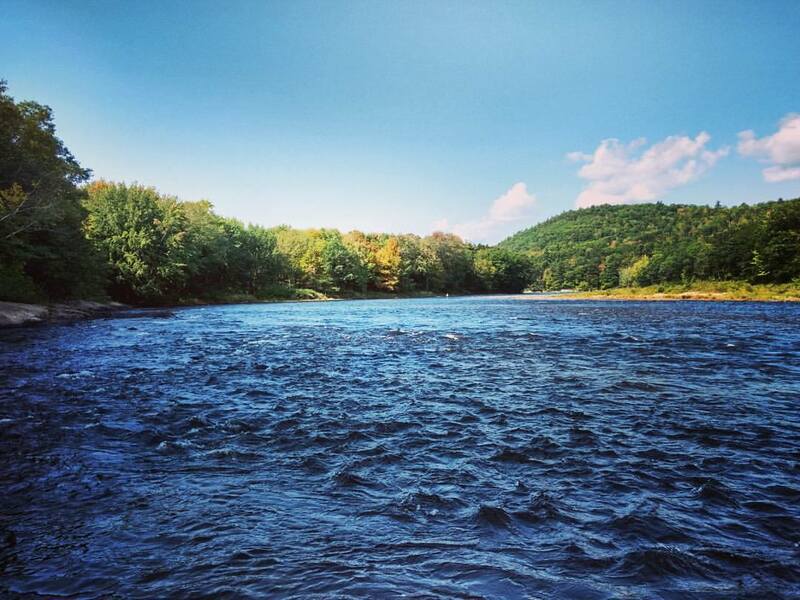 Do I have to stay at the Bethel Inn & Resort? No, you can stay anywhere you want and you will still get breakfast and lunch included in your registration. 5. 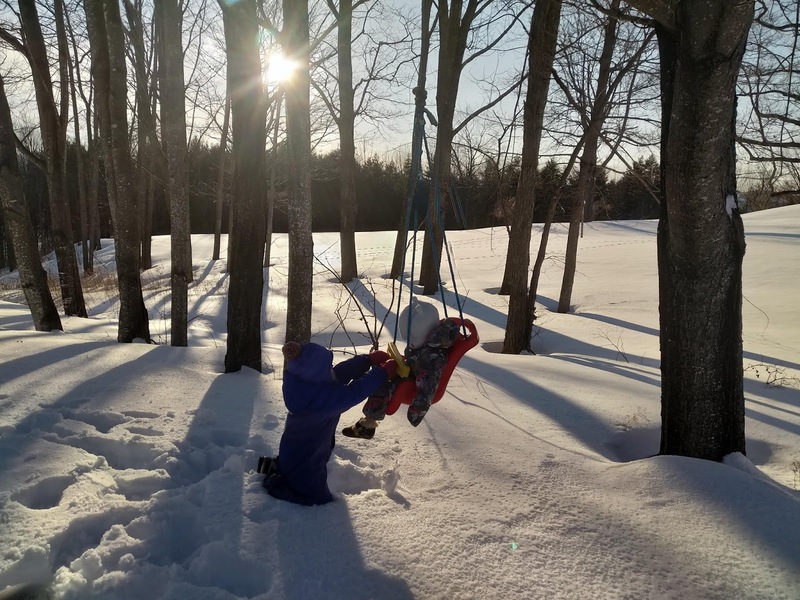 What can my spouse and kids do during the day? 6. I'm thinking about flying, is there public transportation available between the airport and the resort? 7. I need to register with a purchase order, can you accommodate that? Yes, I can. I'd prefer if you can register online, but I can accept a PO from most schools in the U.S. Send me an email to start that process.